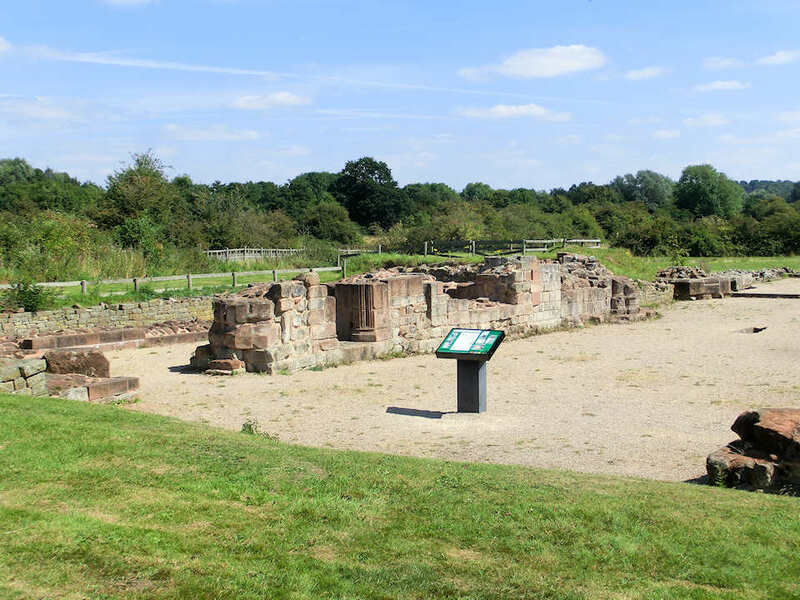 Bordesley Abbey is rich in history and archaeological evidence. In 1140 a group of Cistercian monks from Garendon Abbey in Leicestershire were granted land in the Arrow Valley by Waleran de Beaumont, Count of Meulan and Earl of Worcester. 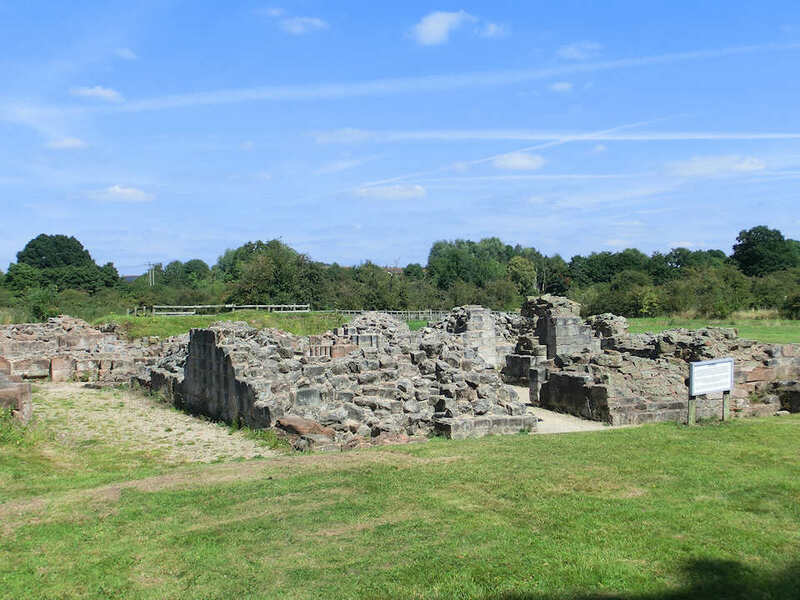 This enabled the monks to found Bordesley Abbey and turn the Arrow Valley into a place suitable for a monastery. Bordesley means ‘the place where boards were obtained’. 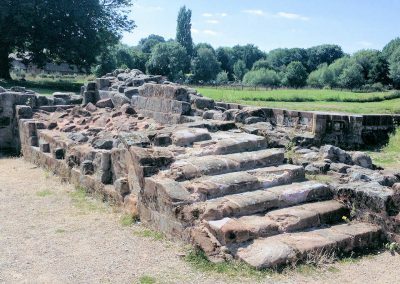 Archaeological evidence show that when the monks arrived the Valley was a very marshy and inhospitable place, unsuitable for the building of a large Abbey – so they dug a complex drainage system and diverted the River Arrow. Excavations show that the first buildings were made of wood, but within a few years they replaced it with stone buildings. 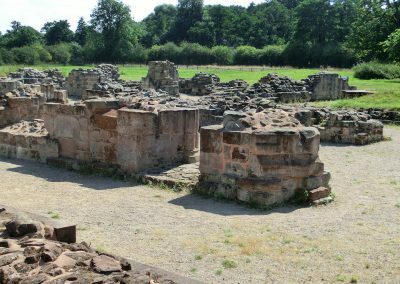 You can see evidence of how the Abbey changed as you walk around – from the early plain green sandstone to the more ornately decorated later red sandstone. The ‘Night’ stairs are also clearly visible – so called because the monks used these stairs to get into the church for the first service at 2am! 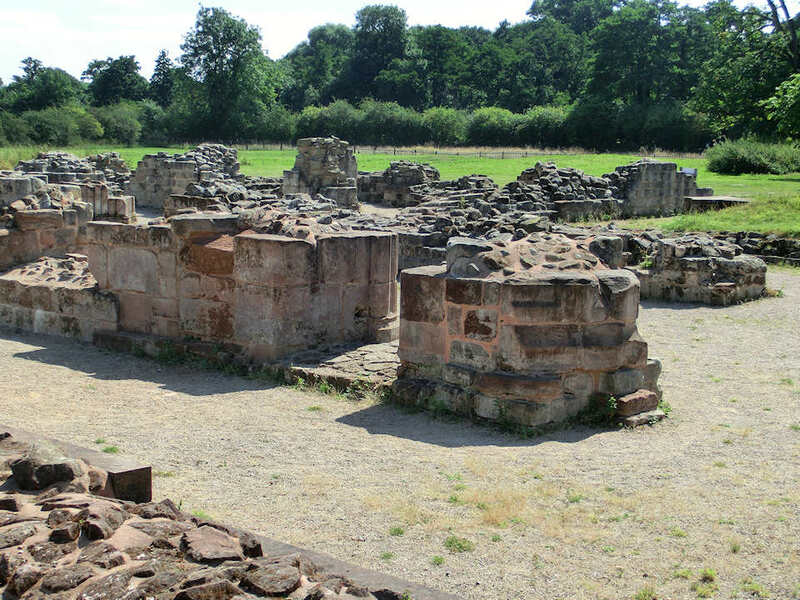 We know that the Abbey had about 20 farms or ‘granges’ in Warwickshire and Worcestershire and the sale of its produce – cereals and especially wool – gave the Abbey much of its wealth. But this prosperity, however was not to last. In 1538 Henry VIII dissolved the monastic houses and Bordesley was demolished and the estates sold. The ruins remained buried until JM Woodward (tutor to the Bartleet family) first excavated them in 1864. 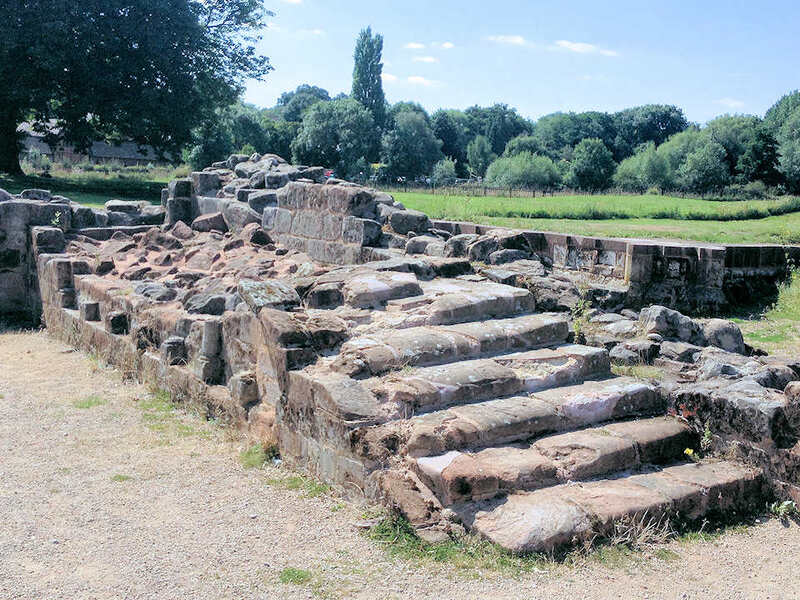 In 1969 the Bordesley Abbey project team began a programme of excavations. Many of the objects and findings of the excavation can be seen in the Bordesley Abbey Visitor Centre. NEW: Play our exciting Interactive App whilst visiting the Abbey to unlock the stories behind the stones! 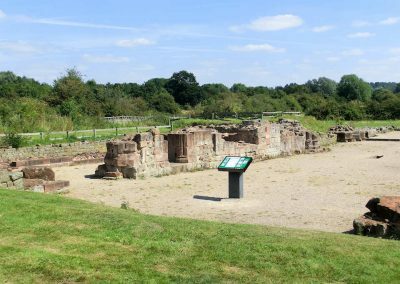 A birds-eye view of the excavated ruins of Bordesley Abbey. With grateful thanks to (c) John James Photographer/Videographer.